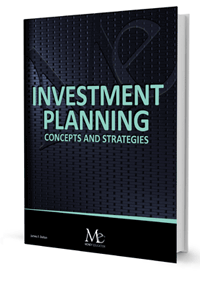 Investment Planning, Concepts and Strategies, 1st Ed. / 2nd Ed COMING AUGUST 2019! Our newest textbook is all about the future. Our lives are all about investing in the future with hope of a return. The key of course is managing the risk of hope with knowledgeable expectations of return from an investment framework that includes preservation of capital, production of income, and growth in value. Investment Planning; Concepts and Strategies blends this theoretical investment framework with practical knowledge of securities, portfolio management, asset allocation and implementation. The text includes thorough coverage of securities, securities markets, investment theory and analysis. 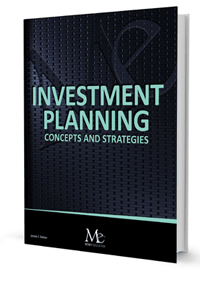 Written from both the academic and practitioner perspective, Investment Planning; Concepts and Strategies accomplishes our objective of creating a text that is in-depth, clear and readable.